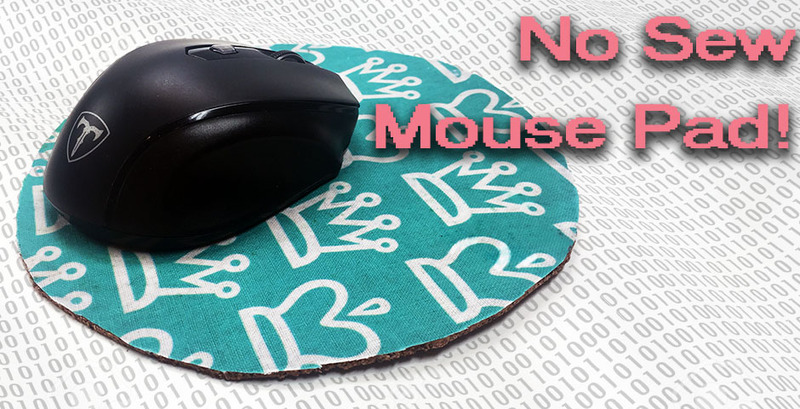 No Sew Fabric Mouse Pad! 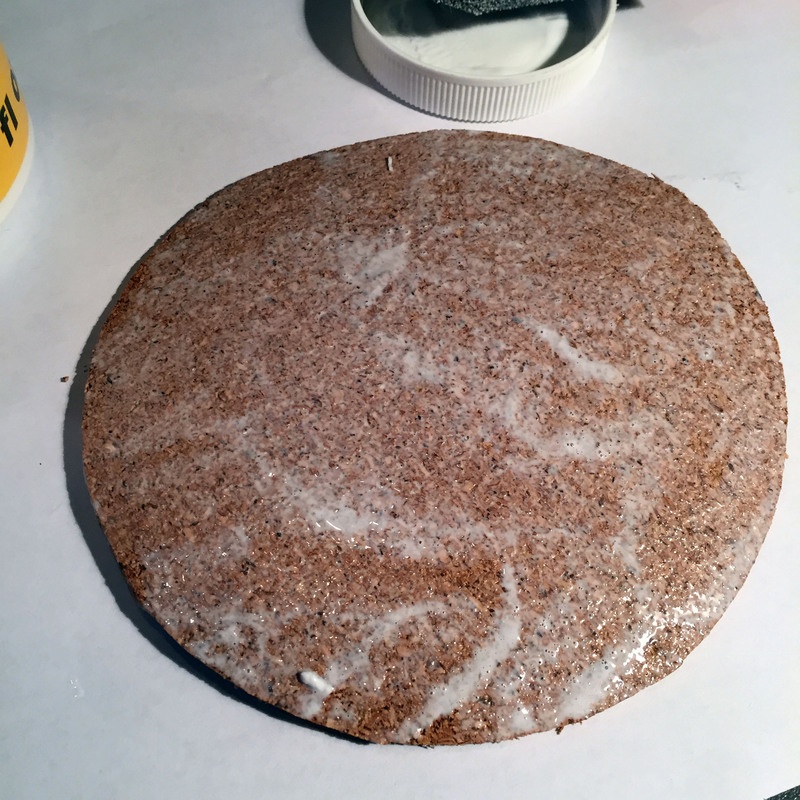 First start with a round piece of cork board we cut ours with a 7” diameter. 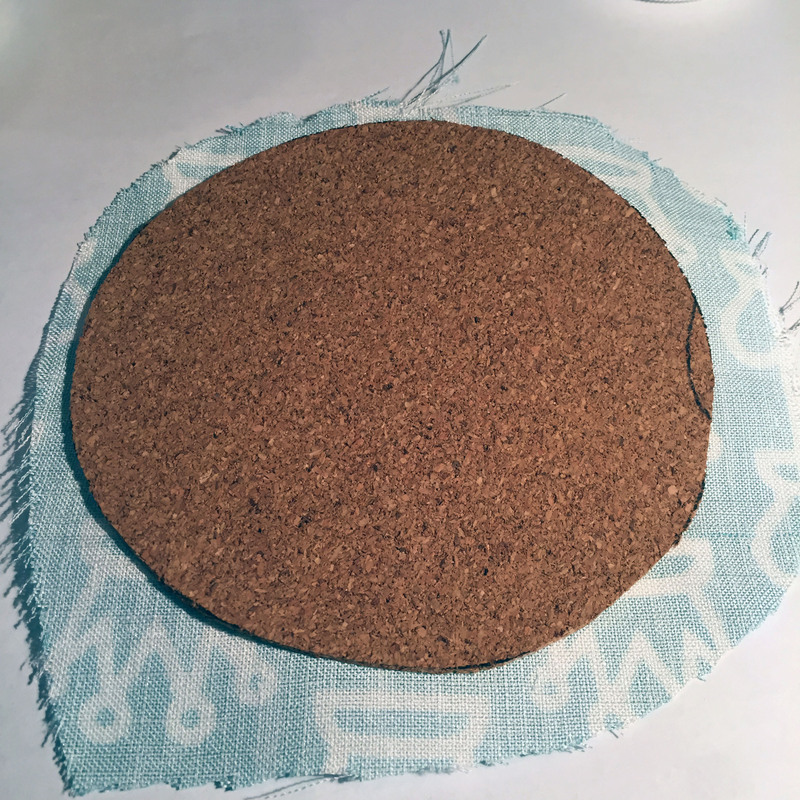 Next you will cut a fabric piece larger than the circle any size will do as long as it is larger than the cork. 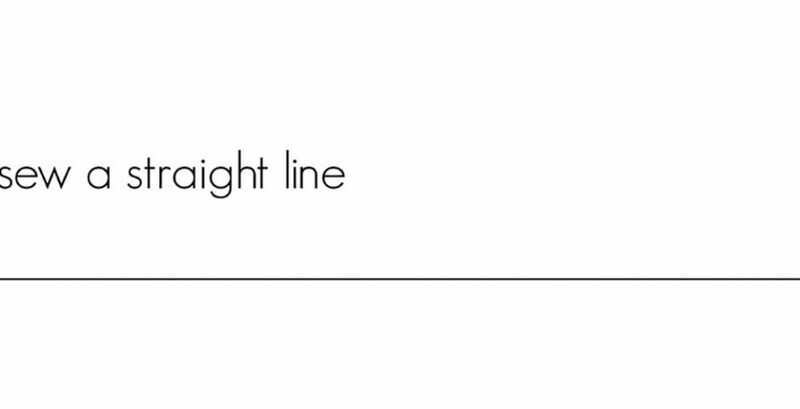 Later you will trim so no need to be precise. 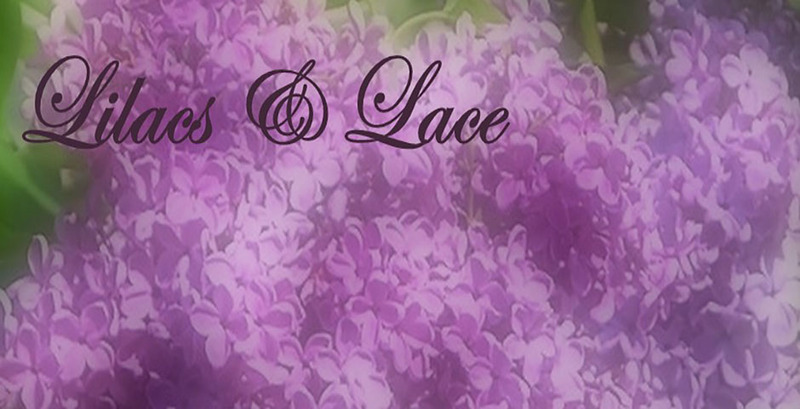 You can use any fabric but woven fabrics are easiest to work with. 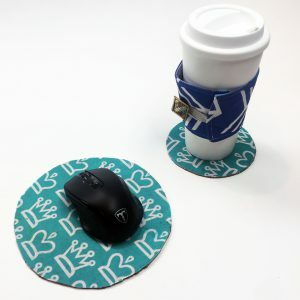 We chose to have this fun design we made in our free online creator tool printed on our Faux Linen Slub. 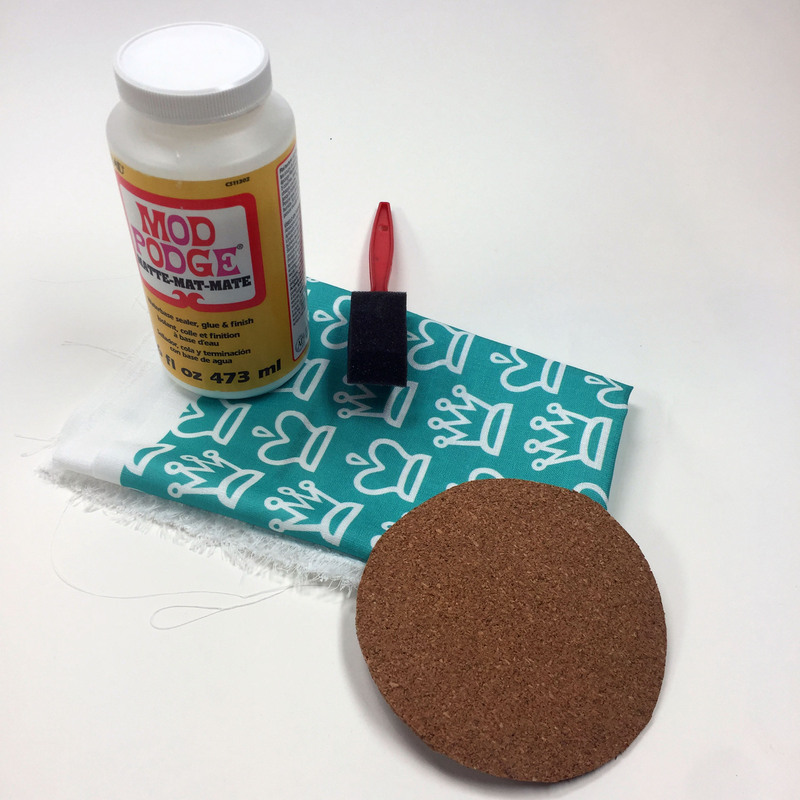 Next you will take your mod podge and brush and apply a thin even layer all over the top of the cork. 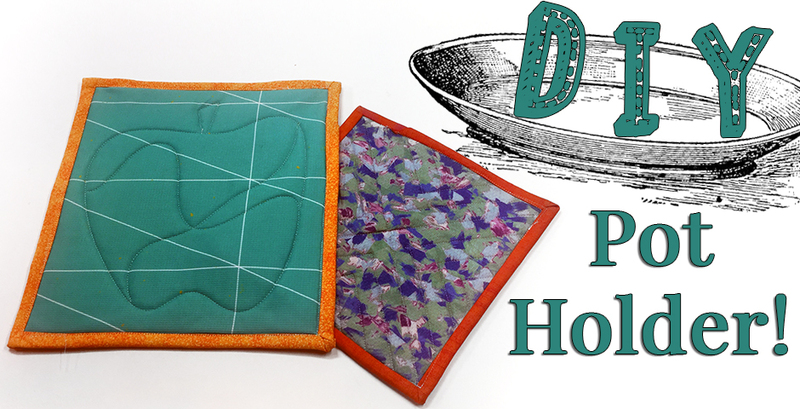 Then you will lay the fabric right side up onto the mod podge side of the cork smoothing out any wrinkles or bubbles. 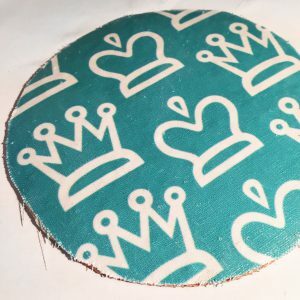 Now you will apply another thin even layer of mod podge on top of the fabric making sure to get the edges very well and let dry according to the mod podge instructions 15-20 minutes. Don’t forget we are celebrating all color this month with 25% off all orders throughout the month of September on any fabric in any color just use code: bows25 at checkout. 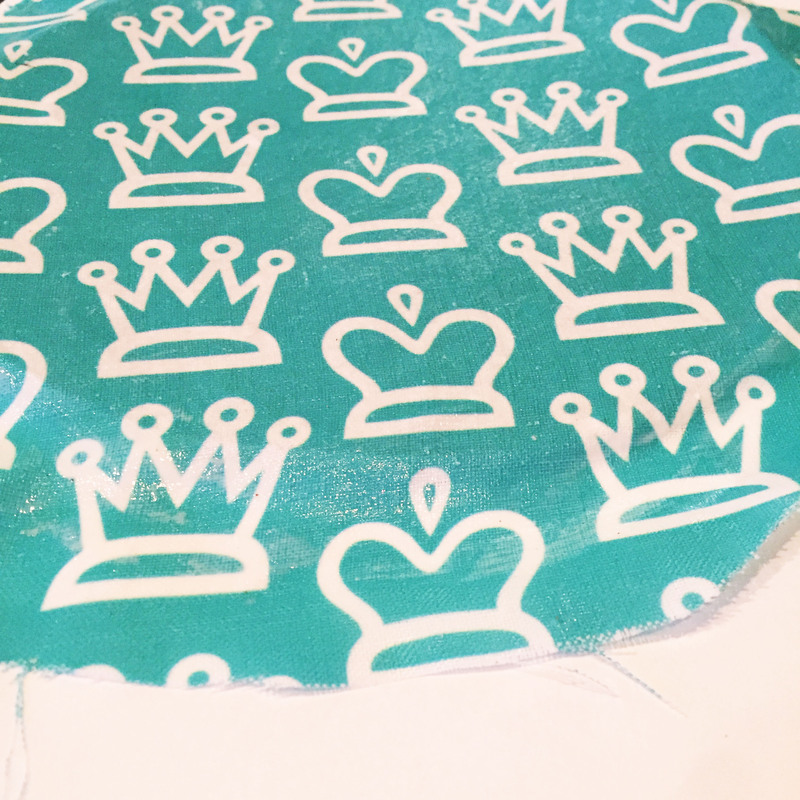 DIY Baby Car Seat Canopy!